Beanbags are a wonderful invention. Children can’t resist taking a dive when they see one. 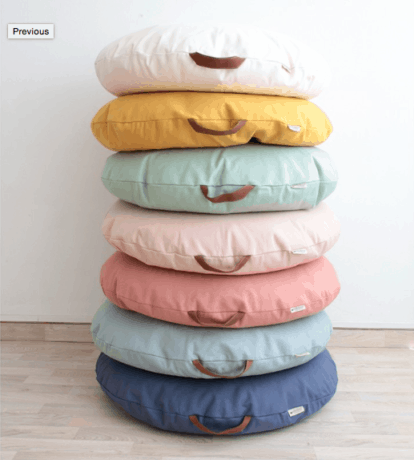 They’re perfect for lounging around and their softness will calm down even very stressed adults. 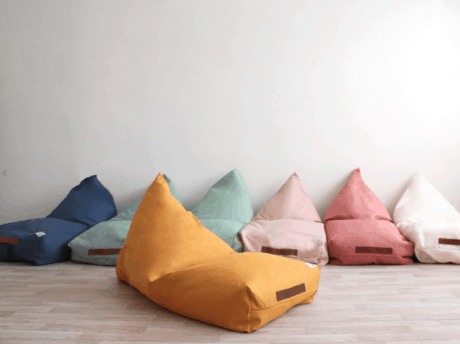 Beanbags are so cool, and they are even very stylish if you chose well. Spanish brand Nobodinoz has created a whole range with different shapes and sizes in a beautiful colour palet (7 options) and even a choice of graphic patterns. I like their idea of creating a Mediterranean Oasis in your home with their PURE poufs. 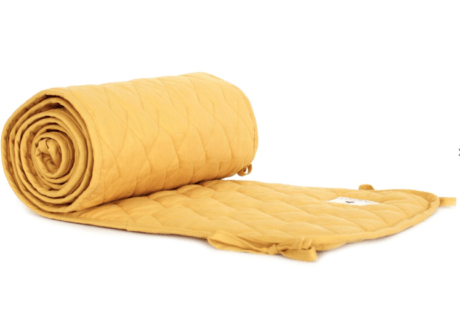 “The Oasis natural beanbag will take you under the hot Sahara sun as you lie on it. Don’t forget to bring some water!”. 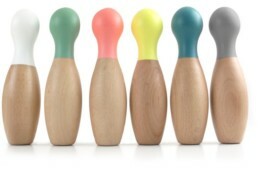 • Comes with a faux leather handle for portability. • Removable cover for easier cleaning. 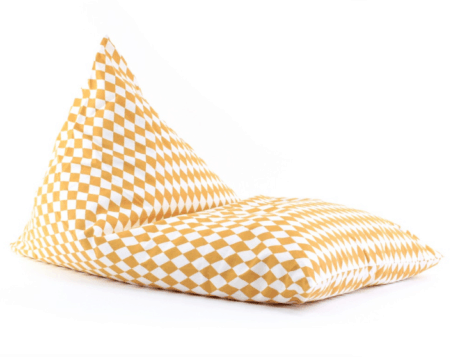 • Adult sized, great for lying down. • Made with OEKO-Tex certified Havana heavy cotton fabric. • Designed and Made in Barcelona with care by Nobodinoz. 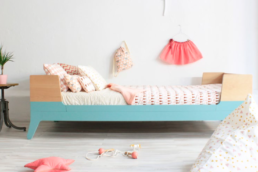 We also highly recommend the mattresses and quilted cot bumpers in matching colours. It's a blue house on top of the hill, and it's where Siv Tone Kverneland (Finger in the Nose) and family live. Thanks to The Socialite Family for a very inspiring feature.